When my son was born I would spend the early hours watching over him as my wife claimed some much needed, and well earned, sleep and entertain myself trying to solve the puzzles of a Nintendo 64. As my son grew we played these games together, father/son time as it were and slowly he developed the skills to beat me at every possible opportunity. The first time he completed the course on Mario Kart I can still remember the jumps for joy as he screamed "I did it! I did it!". When he was six he came to me and said he wanted a Game Boy. As with any parent I showed hesitation but when I saw his friends on the school bus wified together and competing to score the winning goal, I realised it was the lone kid with the book who was the outsider. Games were no longer isolationist, now they were the social activity, bridging the gaps rather than building them. We did a deal, he learnt to read 'Green Eggs and Ham', and Santa was happy and brought him a brand new DS. These days the DS is long gone but we still spend time beating each other's scores on Star Wars on the old '64. It remains a time we can spend together, a time I can remember and enjoy. Few Japanese companies have genuinely created something new, many simply improving on previous ideas, something Apple is very good at if we're being honest. But while I've been travelling Nintendo lost someone who was part of my son and I growing up. 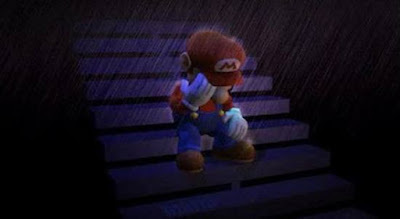 And Mario is sad about that.